Prerequisite: Basic knowledge in Architectural, Structural, Mechanical Electrical Plumbing (MEP) or Construction. 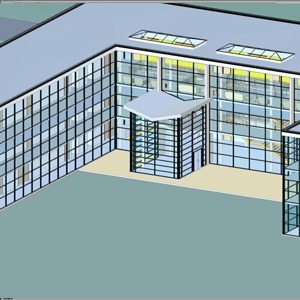 Course Description: This course is designed to expand and enhance trainee’s knowledge and ability in their respective field and combine it with Revit design technique and capabilities to produce drawing plans. Last third of the course trainees will concentrate on their respective discipline. Trainees will learn the user interfaces, working in 3D, design options, schedules (typical and custom and managing), phasing (past, present, and future), collaboration between disciplines-management & workflow, families creation-beginners to advanced- building it smarter, automation, customization, set-up, and standards, rendering, lights, camera, and action.